ASEAN citizens with all the strength of the economic, social, and demographic will occupy an important position in the geopolitical world. Meanwhile, the millennial generation evolves into the largest population that would become the maestro in the digital world. Therefore, we need to contribute in rethinking Indonesia in this “new” world and finding as well as developing a uniquely ASEAN citizen’s innovative literacy program on human and humanities in a sustainable and wise manner. 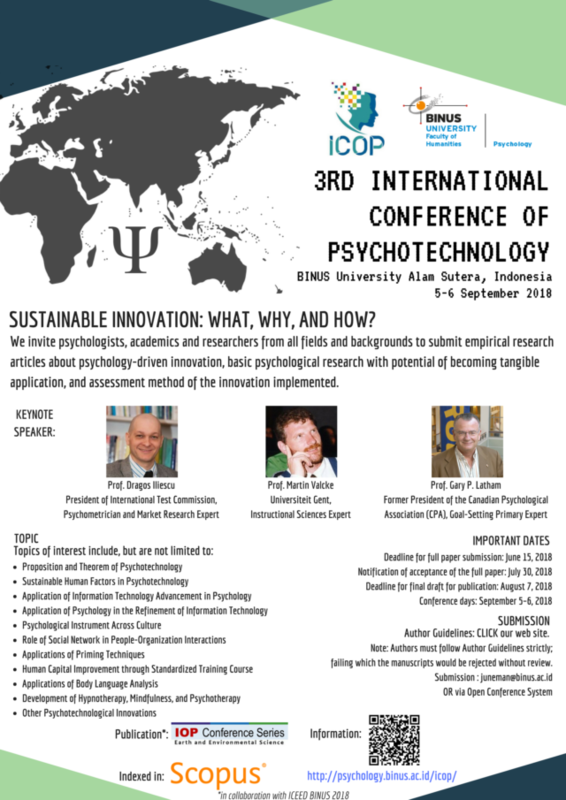 This conference covers Sustainable Human Factors topic of interest consisting of, among others, Socially healthy, measurable, respectful to individuals, and ecologically as well as architecturally-friendly psychotechnology in the personal, interpersonal, and organizational contexts (ICOP). 1. The body of psychological facts and principals involved in the practical applications of psychology. 2. The application of such knowledge. The application of the theories, principles, and techniques of psychology to practical concerns, such as political campaigns, consumer affairs, industry, ergonomics, education, advertising, vocational guidance, problems of living or coping, and environmental issues. It may be contrasted with theoretical psychology or academic psychology, in which the emphasis is on understanding for its own sake rather than the utility of the knowledge. “It is difficult to think of human beings who simply are; we almost always think of them as for better or for worse, and this means either ethics or psychotechology”. Keynote Address will be delivered on 5 September at 8a.m.-1p.m. 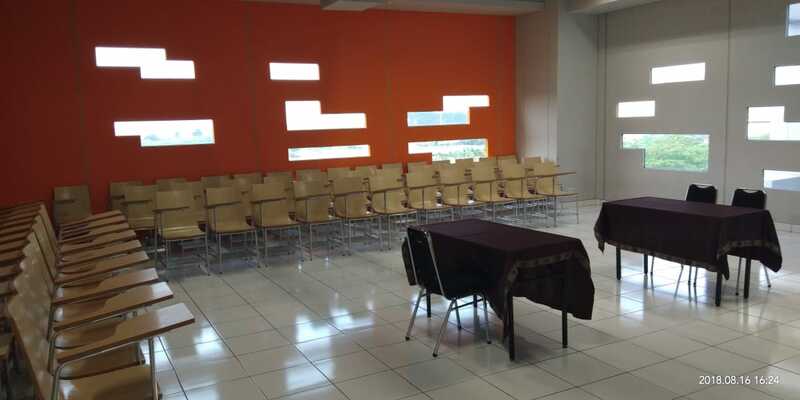 at BINUS Alam Sutera, AUDITORIUM, Room B0501 (Capacity: 281 persons). Corina D. S. Riantoputra, PhD. Silvia Kristanti Tri Febriana, M.Psi. Pingkan C B Rumondor, M.Psi. 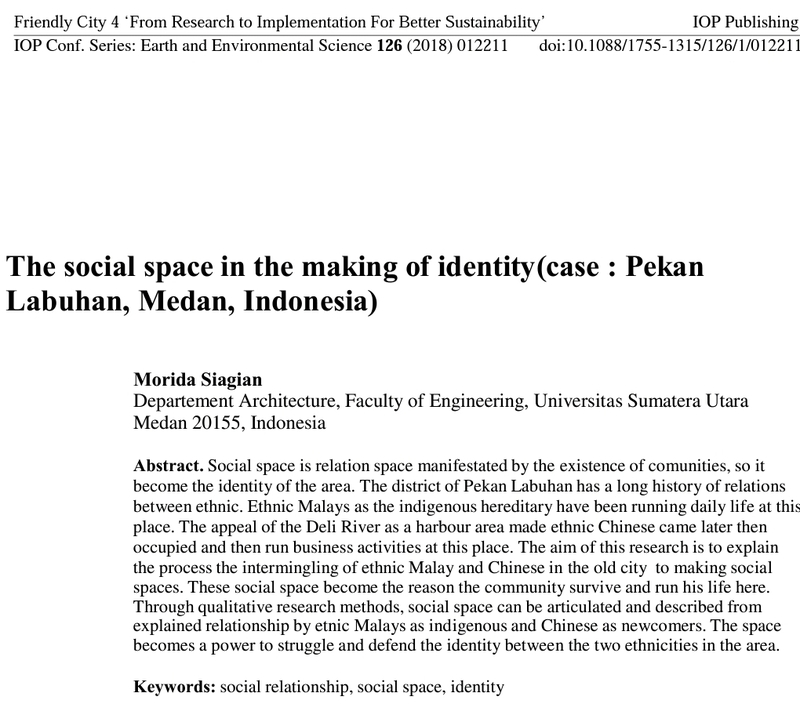 23 Riryn Sani Department of Psychology, Universitas Pelita Harapan, Indonesia Riryn Sani, Yonathan Aditya, Ihan Martoyo, Rudy Pramono Multidimensional religiousness among Christian and Muslim students: Are there gender differences in Indonesia? Gary P. Latham is the Secretary of State Professor of Organizational Effectiveness at the Rotman School of Management, University of Toronto. From 1983-1990, he was the Ford Motor Research Professor, Business School at the University of Washington. He is widely viewed as one of the world’s leading experts in the field of organizational behavior and goal setting theory. His contributions to organizational behavior have changed the field, both theoretically and empirically. His work on goal-setting has made fundamental contributions to both the area of motivation and self-regulation and makes him a household name to students and scholars in organizational behavior. In fact, if you are familiar with research on goals, you have heard people cite his name, perhaps in association with Edwin Locke, hundreds of times. You may remember their landmark article based on decades of their own and other’s research on goals in the American Psychologist: Building a practically useful theory of goal setting and task motivation: A 35-year odyssey. Dragoş Iliescu is a Professor of Psychology with the University of Bucharest. 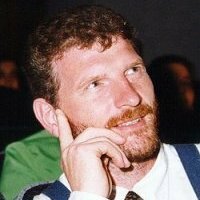 Beside his academic career, he has been active as a consultant for the past 20 years, being involved in and having led important projects related to tests, testing and assessment (among them more than 100 test adaptation projects), mainly in East Europe, but also in Asia, Africa, and South America. 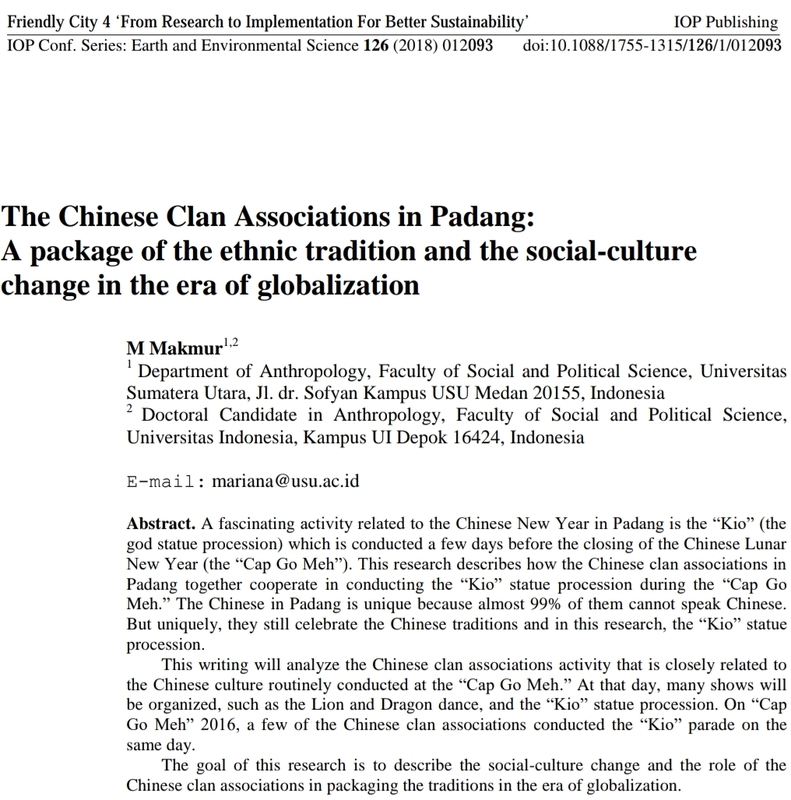 His research interests group around two domains: applied psychology in the occupational and human resources area, and psychological assessment, tests and testing (with an important cross-cultural twist). Drago? Iliescu has served in various capacities for a number of national and international professional associations; he is the current President (2016-2018) of the International Test Commission (ITC). 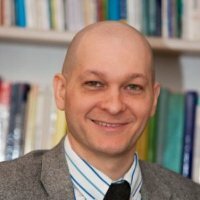 He is an Associate Editor for the European Journal of Psychological Assessment, and the author of over 100 scientific papers, book chapters and books, among them the co-Editor of the acclaimed ITC International Handbook of Testing and Assessment, published in 2016 by Oxford University Press, and the author of an important monography (Adapting tests in lingvistic and cultural situations) published with Cambridge University Press. Testing and assessment is possibly the single most influential contribution of psychology to the repertoire of scientific methods. But testing and assessment has evolved in meandering and not always straightforward ways during the past 100 years, combining today a number of extremely modern approaches, but being also tributary to historical artefacts that cannot be considered up to par with scientific requirements. In the same way in which we promote today an evidential basis in those areas of psychology that are dedicated to interventions (e.g., evidence-based psychotherapeutical interventions, evidence-based management), we should promote an evidential basis in psychological testing and assessment. You may use IOP Editing Services (https://editing.iopscience.iop.org/), at your own cost, to ensure that your work is written in correct scientific English & IOP format before submission. 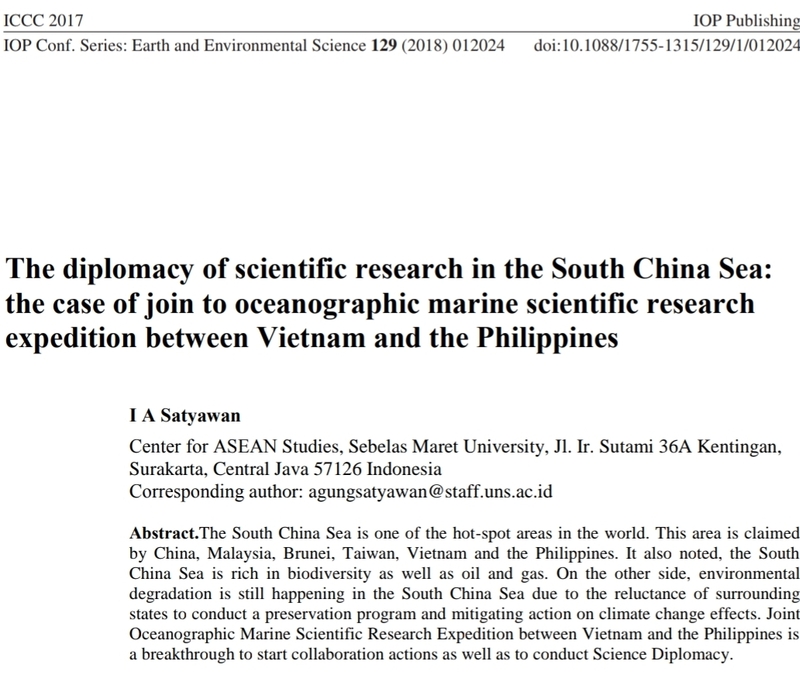 However, use of this service is not mandatory for publication in the ICOP Publication (IOP Conference Series: Earth & Environmental Sciences) and does not guarantee acceptance. 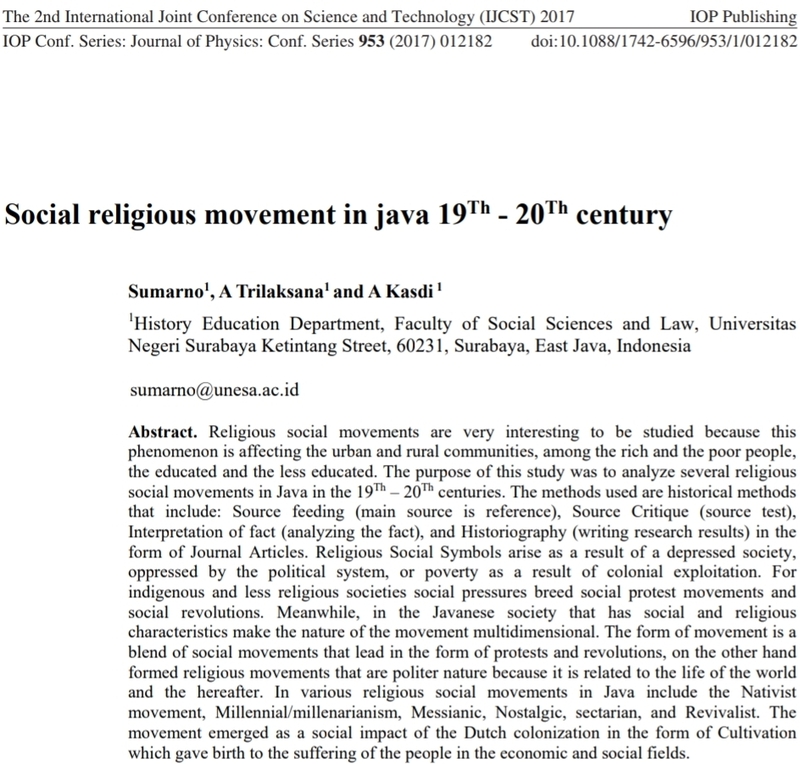 ICOP will be held in conjunction with ICSSLAH – International Conference on Social Sciences, Law, Art and Humanities, one of our BINUS Joint International Conferences. The ICSSLAH is hosted by Faculty of Humanities, BINUS University. The ICSSLAH 2018 consists of five conferences based on disciplines ranging from psychology (ICOP), law, international relations, art, humanities, social sciences, primary teacher education, to culture and languages. 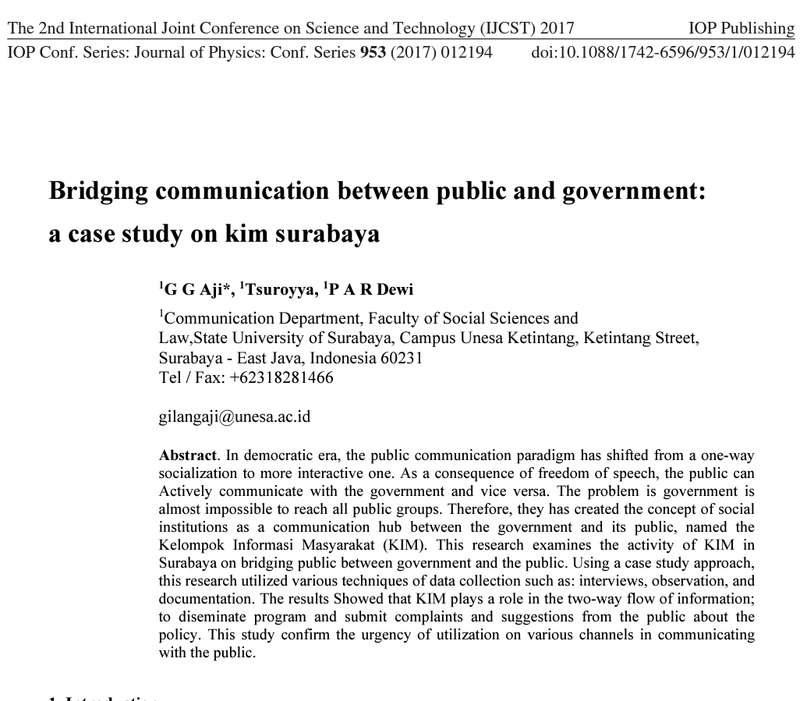 ICSSLAH is a part of BINUS JOINT INTERNATIONAL CONFERENCE (BJIC). 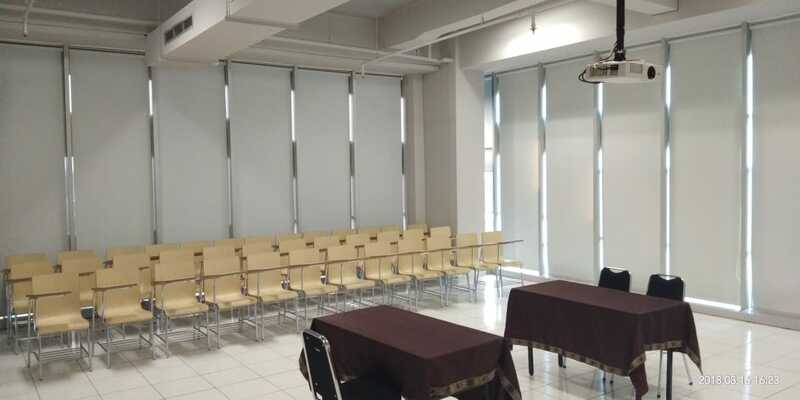 As mentioned by Quacquarelli Symonds, BINUS University is a private institution with over 30,000 students, active industry links with 5,000 companies and partnerships with 130 universities abroad. With an overall rating of three QS stars, BINUS achieved the maximum five stars rating in the categories of inclusiveness, teaching, employability and social responsibility and ranks among the top 251 universities in Asia in the QS University Rankings: Asia 2018. 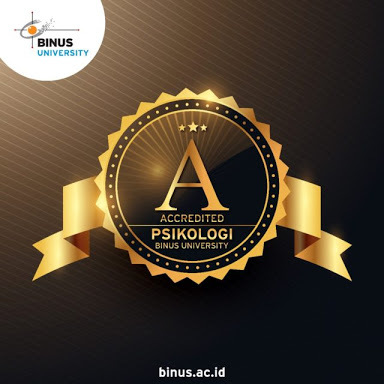 BINUS University obtained an ‘A’ accreditation from the National Accreditation Board of Higher Education (BAN-PT) on 28th December 2016 as well as succeeded in obtaining the ‘A’ accredited status for Psychology Department on December 2017. Check our industry partners here: http://io.binus.ac.id/2017/02/20/industry-partners/ & http://global.binus.ac.id/collaboration-center/. * The path is easier through the escalator from BCA below. 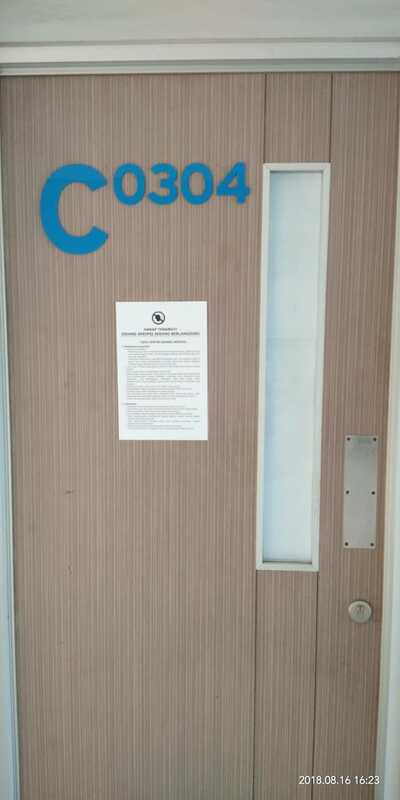 If through an elevator, you will enter building A, so you need to walk to get to building C.
Jalurnya lebih mudah melalui eskalator dari BCA bawah. 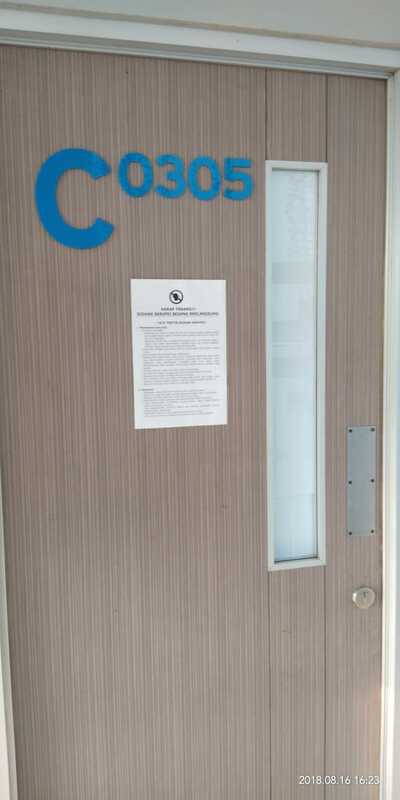 Jika lewat Lift maka akan masuk ke gedung A sehingga perlu berjalan untuk sampai ke gedung C.
In conjunction with ICEED BINUS 2018 conference parasol, all of the manuscripts that have been accepted after reviewed and presented in this ICOP conference will be published in the IOP Conference Series: Earth and Environmental Science (Online ISSN: 1755-1315). 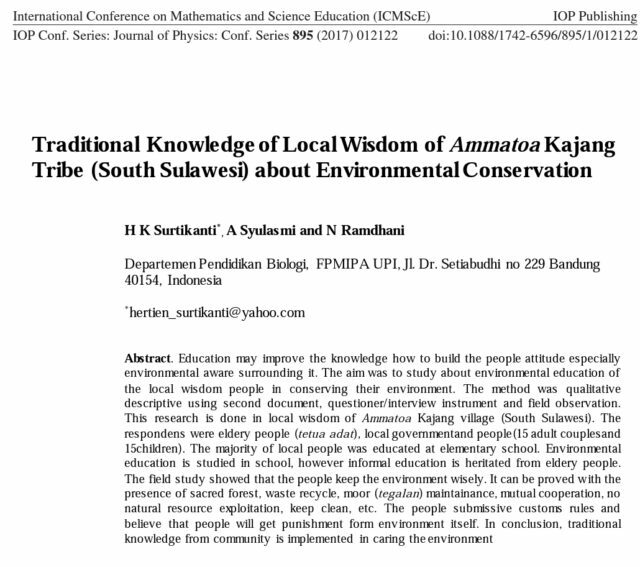 Environmental Science covers human identity and existentialism within the social system with its environmental wisdom. 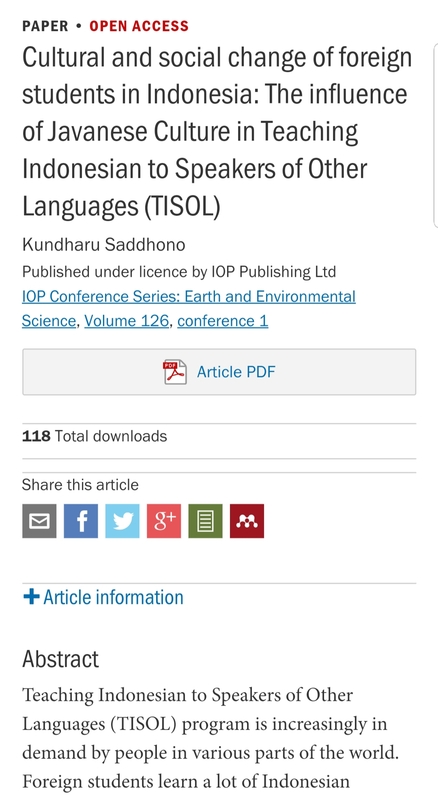 IOP Conference Series is indexed in Scopus and Web of Science/ISI Thomson Reuters/Clarivate Analytics (Conference Proceedings Citation Index). 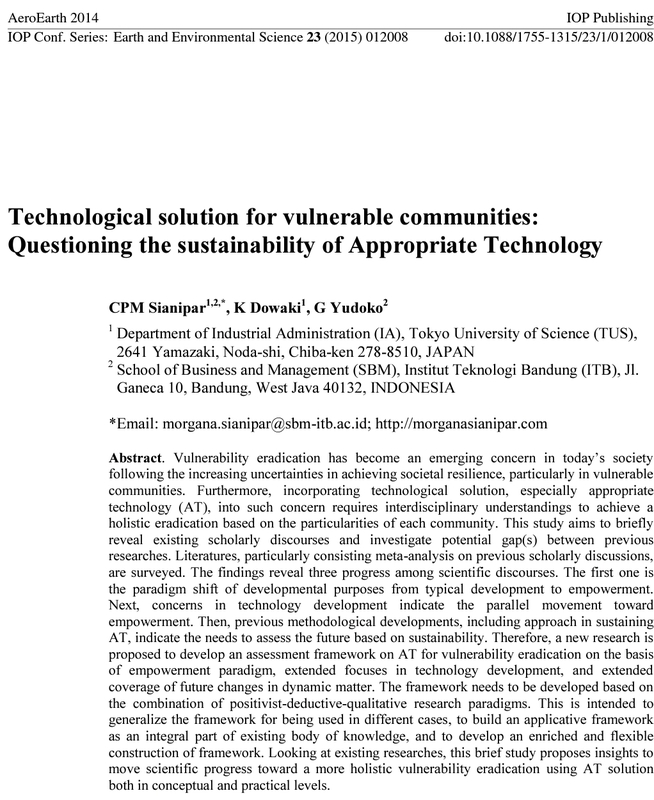 It is an open access publication; all articles are free to read and download in perpetuity. The application of three psychological concepts, based on over a 1000 studies, will increase the productivity of employees. The first is goal setting. Goals instill meaning in otherwise tedious tasks. They give people a sense of purpose. Their attainment gives people feelings of accomplishment and personal effectiveness. In my discussion, I will discuss different types of goals and when each of them should be used. Even when goals are specific and challenging, people may not choose to improve their productivity. Thus, a second psychological concept key to productivity improvement is outcome expectancy. That is, employees must see the relationship between pursuing goal attainment and the positive outcomes they can expect. If employers understand the outcomes that employees expect from pursuing the goal, they will understand why employees say what they say, and why they do what they do. If employers change the negative outcomes employees expect from goal pursuit, they will gain goal commitment. This 1-day workshop serves as an introduction to the latest standards in testing and assessment, from a research perspective of test adaptation methods. 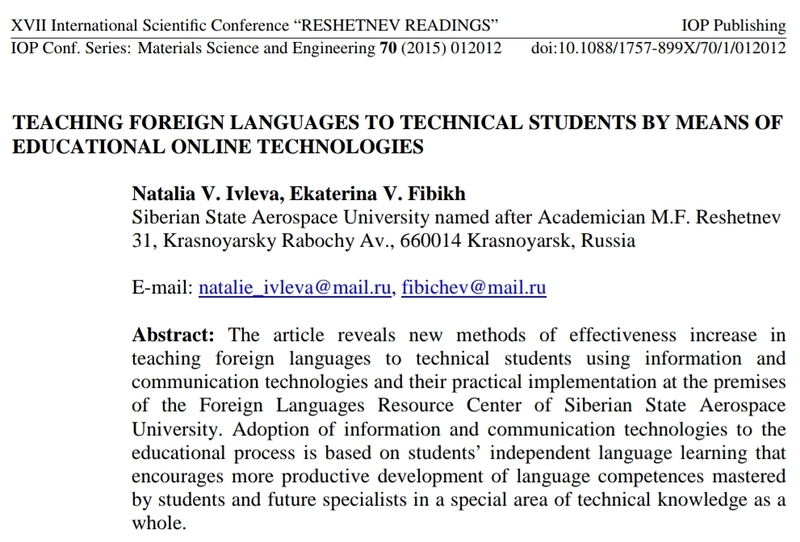 It thus serves a two-fold purpose.The first part introduces participants to conceptual and statistical methods for translating and adapting tests from one language to another. It uses practical examples of adaptations conducted in non-English speaking countries to exemplify the application of the ITC Guidelines on Adapting Tests, and the 2014 Standards for Educational and Psychological Testing (APA, AERA, NCME, 2014). This first part will attract participants who use tests in research and applied settings, and are interested in developing their own tools or thoroughly evaluating existing Arabic tools.The second part introduces participants to best-practice guidelines in testing and assessment, discussing how culturally adequate testing portfolios or repertoires may be constructed in countries where test development is still emerging. Interested participants include all professionals who use tests (ranging from rating scales, to cognitive and personality tests) in public or private settings. The goals of this workshop are twofold. First, we aim to equip attendees with the technical knowledge and basic skills needed for adapting tests into Indonesia. Second, we aim to empower attendees to think strategically at the manner in which psychological assessment is conducted and the manner in which it may be improved on the short-term with even minute efforts, through such approaches as the proper combiations of adequate psychological instruments, training for competent test users and publicity towards informed clients. The workshop is intended to take 8 hours, in 4 2-hours sessions (2 sessions, i.e. 4 hours, before lunch, and the same after lunch). Dra. 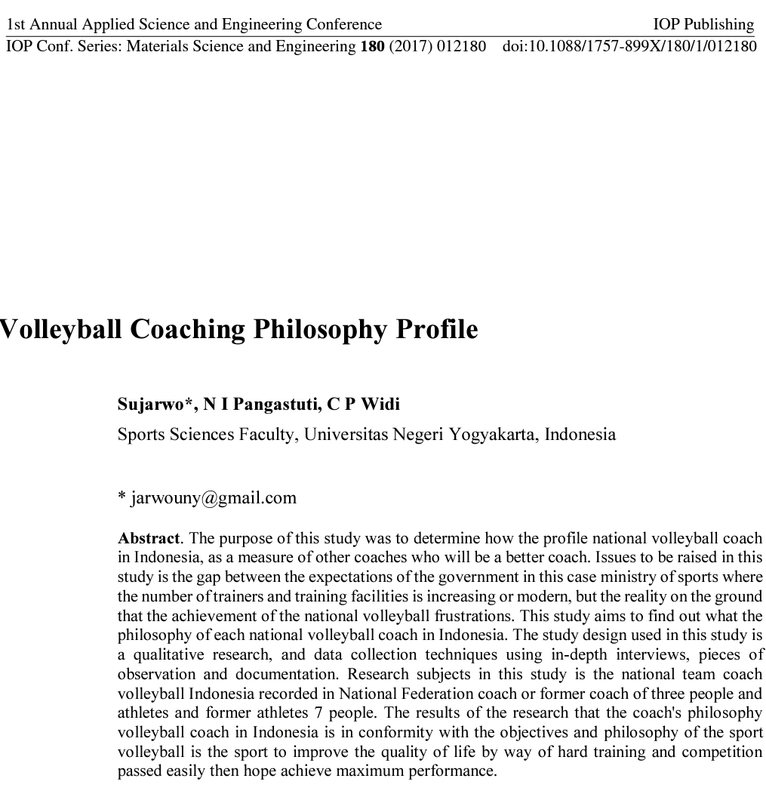 Corina D. S. Riantoputra, M.Com., Ph.D.
Prof. Tirta Nugraha Mursitama, Ph.D.